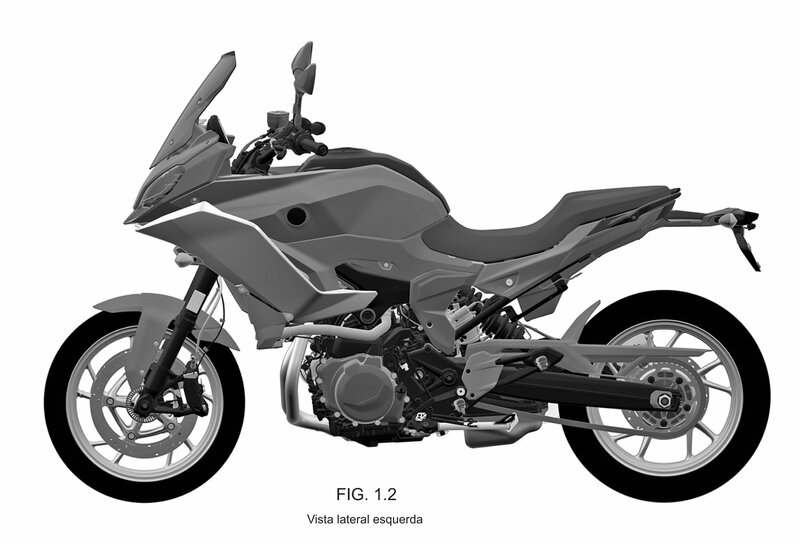 Recently some design patents that were filed in Brazil made their way into the public eye, and they look like the BMW 9cento concept but a production version. This sport touring machine doesn’t have a name as yet, but it could very well be F850RS. At least, that’s what everyone is calling this bike. Motor1 Brazil was the first publication to post an image from the patent filing. 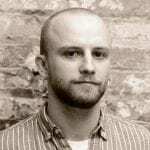 Since then, Motorcycle.com and a few other outlets hunted down the other images. 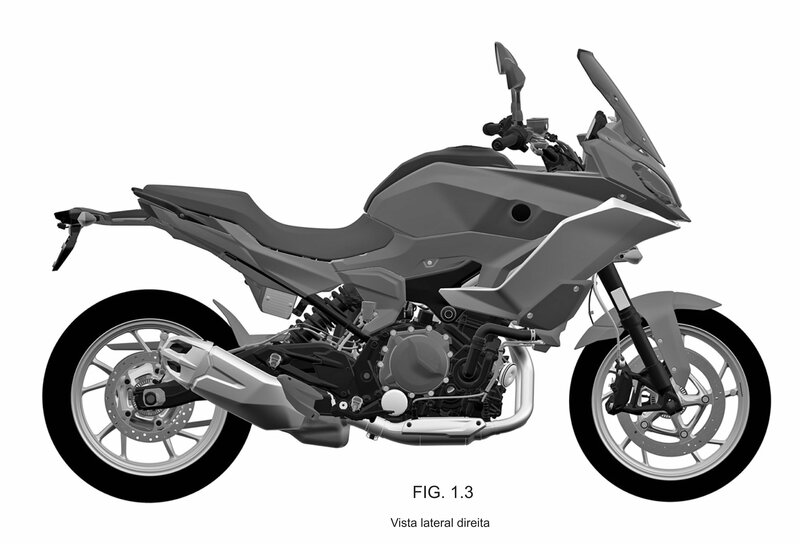 As you can see from the images, the bike is extremely similar to the 9cento concept. 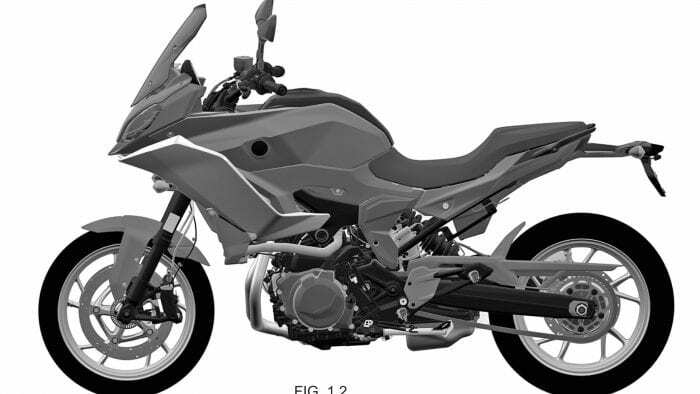 Overall, the production version of the bike is a little smoother and less radical than the concept. 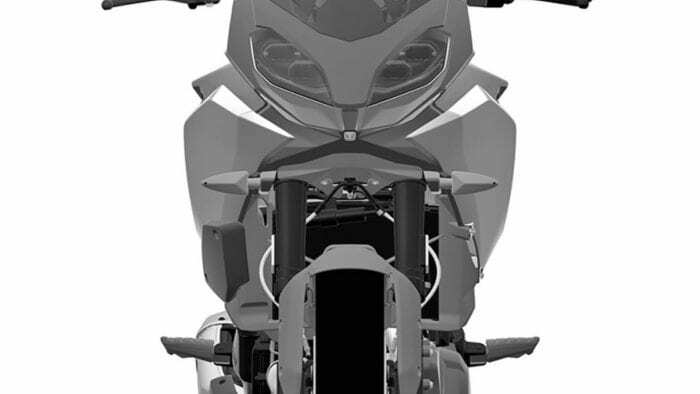 The fairing is shorter and the seat height lower. 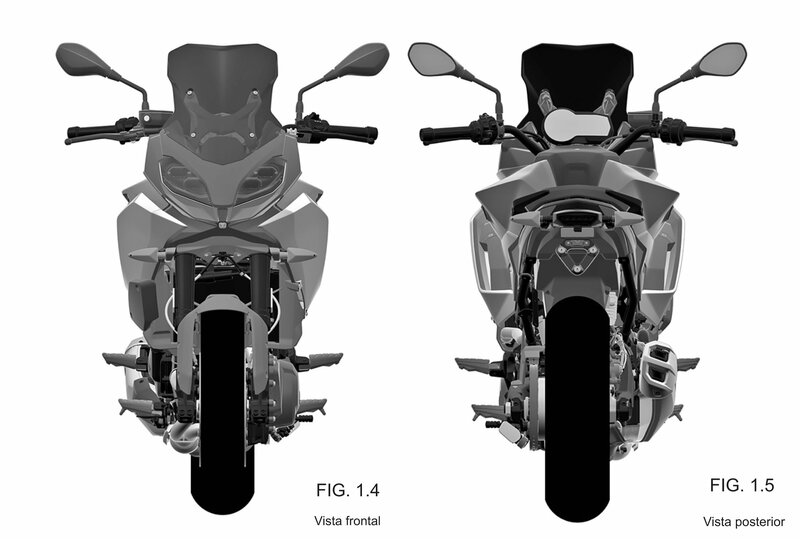 The suspension of the bikes looks more or less the same, though the production bike has a more complete looking rear end. The production bike also gets a larger exhaust that likely keeps the bike quiet but, hopefully, not too quiet. The front and rear views show symmetry. The bike has a sporty overall aesthetic, and I hope it’s as sporty as I’m wanting it to be. The 9cento concept was one of my favorite concepts, and I’m glad to see BMW doing something with the design. 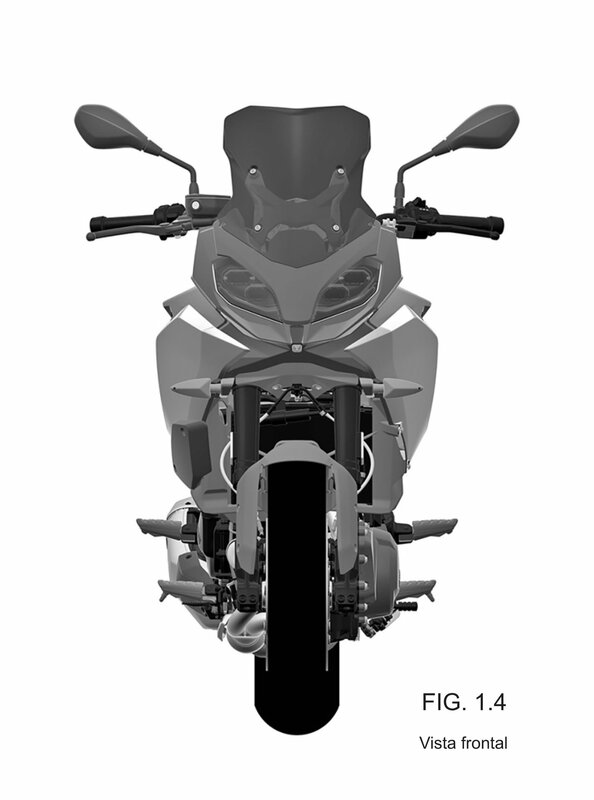 Motorcycle.com suggests the bike could debut in time for EICMA, which would make sense for BMW. I’ll keep you posted if it does. “At least, that’s what everyone is calling this bike”. Every article I’ve seen on it so far, Steve.